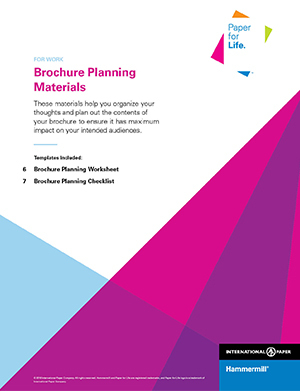 Plan and create an effective brochure that gets your audiences to act. A good brochure can work hard for your business. Careful planning can have a big impact on the results, ensuring your brochure appeals to the right people. 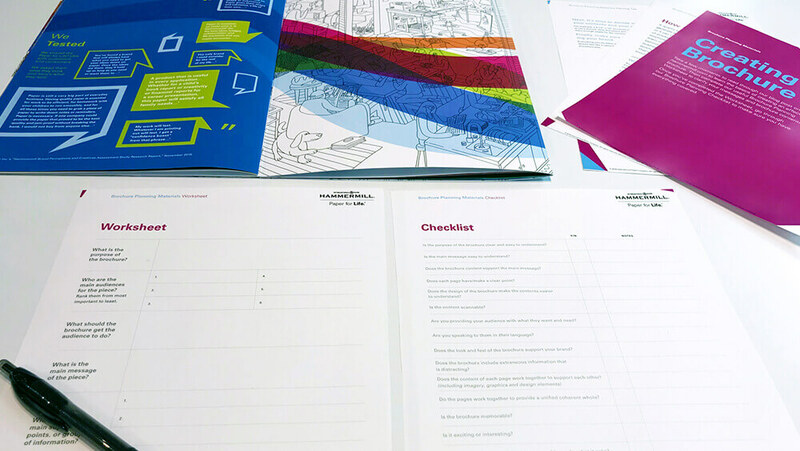 Our Planning Worksheet and Checklist help make the process easier. Remember to print important work materials on high-quality paper such as Hammermill® Color Copy Digital, 28lb. printer paper.